On January 27, Pakistan Army flew a select group of local and foreign journalists on a guided tour to North Waziristan where they were given a presentation on the peace and development situation of the area. “The results [of the operation] are in front of you… The military campaign has eliminated all those [terrorist] sanctuaries,” DG ISPR, Maj. Gen. Asif Ghafoor, told the media. Journalists were later driven to Miranshah market where they mingled with the locals. The locals felt the situation had improved. However there were complaints of due compensation not being provided despite promises by the government. The locals of the area also complained about the absence of mobile phone network, which according to the military, would be functional soon. The 217th Corps Commanders’ Conference was held at GHQ on January 8, 2019, presided by COAS Gen Qamar Bajwa. The forum reviewed geo-strategic environment and security situation of the country. Progress of ongoing operations, fencing along Pak-Afghan border, situation along Eastern Border, including Indian ceasefire violations, and Afghan reconciliation process, were also discussed. Third National Security Workshop Balochistan commenced at Quetta on January 2, 2019. Pakistan Army organized the workshop in collaboration with Government of Balochistan. The workshop was designed to create an understanding about critical national security issues. A Total of 102 participants including Members of National and Balochistan Provincial Assemblies, Tribal elders/notables, media representatives and bureaucrats attended the workshop. 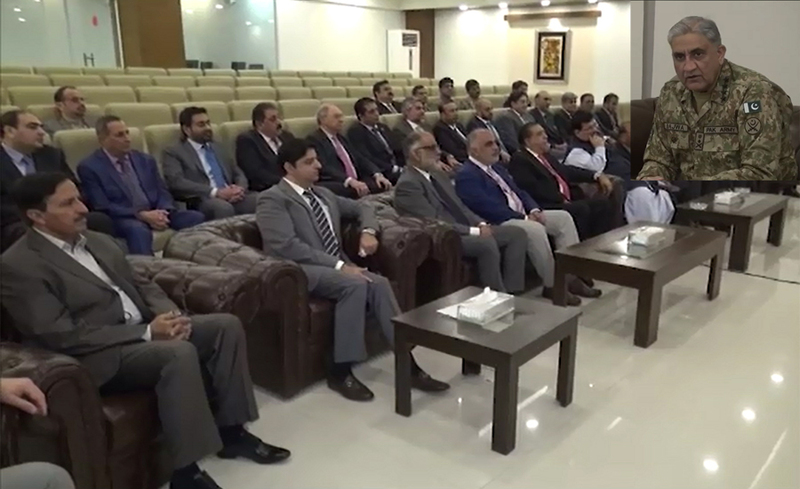 During the conduct of workshop renowned scholars, senior diplomats and technocrats interacted with the participants besides visits to prestigious national institutions. Participants of the workshop later called on COAS Gen Bajwa on January 15 at the GHQ. The final match of first Rashid Jan Shaheed Badeni Football Championship was played at Naushki, Balochistan on January 6, 2019. The tournament was organised by FC Balochistan. A total of 86 teams participated in 4 weeks long tournament. 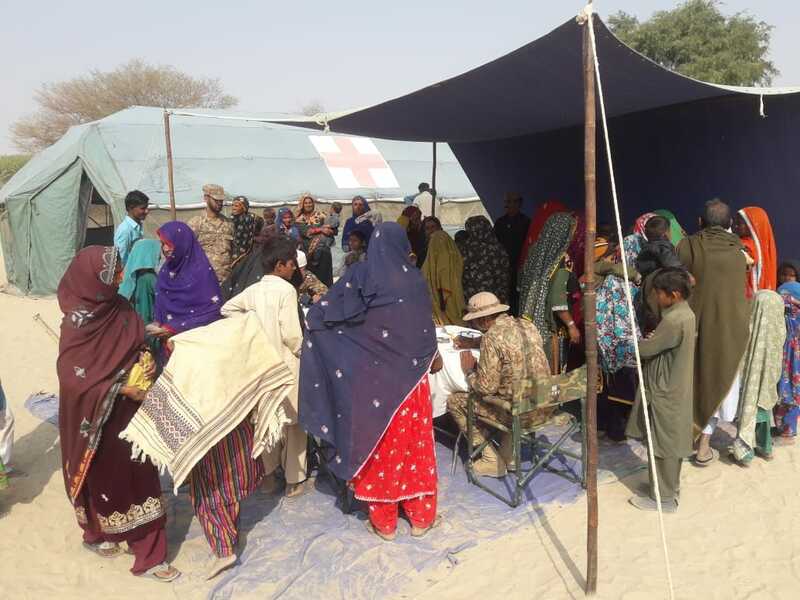 Pakistan Army established a free medical camp at Tharparkar on January 7, 2019 for three days. Army doctors and paramedics provided essential medical treatment to over 1700 patients during the medical camp. The team of doctors included physicians, ENT specialists, dental surgeons and gynecologists. A delegation of business community met COAS General Qamar Javed Bajwa at Karachi. The COAS asked the community to capitalise on the environment and assist in economic stability of the country. The business community acknowledged Pakistan Army’s efforts in bringing about secure environment for increased business opportunities in the country. A delegation of Students and Faculty from University of Baltistan, Skardu, visited ISPR on January 11, 2019. The group interacted with DG ISPR and acknowledged efforts of Pakistan Armed Forces for bringing peace and stability in the country. They also thanked for special efforts and assistance by Pakistan Army towards socio-economic development of GB. Pakistan Army started airlifting leading gynaecologists and their allied staff from Muzaffarabad to the snowbound Leepa valley on rotation responding to an urgent need of the civilian population. Leepa valley is located about 100 Kilometres southwest of Muzaffarabad, overlooked by the Indian Army check posts across the Line of Control. After heavy snowfall in the valley, it was virtually cut off from the rest of the territory. Mr Shukrullah Atif Mashal, Afghanistan’s Ambassador to Pakistan, called on the COAS at the GHQ on January 11. 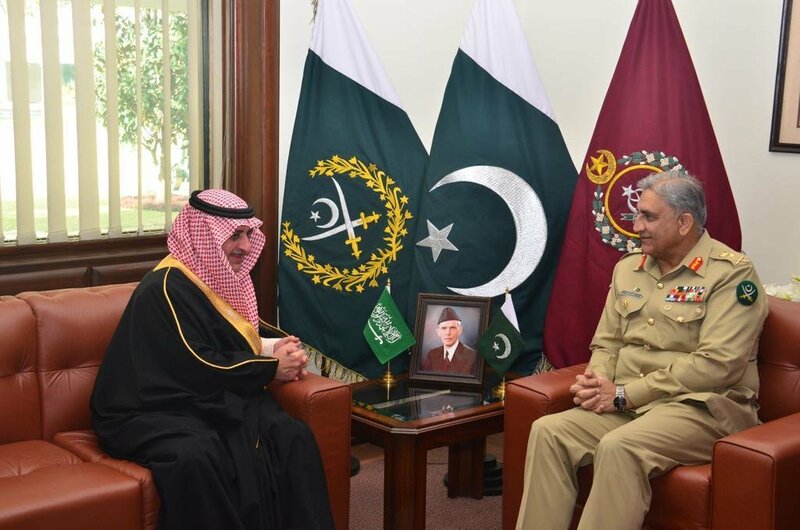 Prince Fahad Bin Sultan Bin Abdulaziz Al Saud, Governor of Tabuk, KSA, called on the COAS at the GHQ on January 14. A US delegation headed by Mr. Zalmay Khalilzad, Special Representative for Afghanistan Reconciliation, and General Austin Scott Miller, Commander Resolute Support Mission, met the COAS at the GHQ on January 17, 2019. A US delegation, led by General Joseph L. Votel, Commander US CENTCOM, called on the COAS at the GHQ on January 20. Ms Maria Fernanda Espinosa Garces, President of the United Nations General Assembly, called on the COAS at the GHQ on January 22. Ambassador of China to Pakistan, Mr. Yao Jing, called on the COAS at the GHQ on January 24, 2019. PILDAT Dialogue Group on Civil-Military Relations met with the Chief of Army Staff, General Qamar Javed Bajwa, on Tuesday, January 15, 2019, at the GHQ. The meeting lasted for 3 hours and covered a wide range of subjects. Members of the PILDAT Dialogue Group who joined the meeting with the COAS included Mr. Javed Jabbar, Former Senator; Former Federal Minister for Information & Media Development, Mr. Shahid Hamid, Senior Advocate, Supreme Court of Pakistan; Former Governor Punjab; Former Federal Minister for Defence, Lt. Gen. (Retd.) Moinuddin Haider, Former Governor Sindh; Former Federal Minister for Interior, Gen. (Retd.) Ehsan ul Haq, Former Chairman JCSC; Former DG ISI, Lt. Gen. Naeem Khalid Lodhi, Former Secretary Defence, Maj. Gen. (Retd.) Mahmud Ali Durrani, Former National Security Advisor and Former Ambassador, Mr. Shahid Malik, Former Ambassador of Pakistan, Maj. Gen. (Retd.) Athar Abbas, Former Ambassador of Pakistan; Former DG ISPR, Air Vice Marshal (Retd.) Shahzad Chaudhry, Political and Security Analyst and Former Ambassador of Pakistan; Mr. Mujib-ur-Rehman Shami, Senior Journalist, Anchor and Editor-in-Chief, Daily Pakistan, Mr. Saleem Khan Safi, Senior Journalist and Anchor, Mr. Ahmed Bilal Mehboob, President PILDAT and Ms. Aasiya Riaz, Joint Director, PILDAT. Talking to a private TV channel, DG ISPR said, “These courts have caused a wave of fear in terrorists and their handlers and incidents of terrorism have significantly reduced because of them…This is an additional task for us. The Army recommends [it] but it is not our solo demand. It has to be [done with] political consensus”. He was of the view that the decision to continue or discontinue military courts has to be taken by the Parliament. A Peshawar High Court bench on January 10, 2018 stopped execution of two militancy convicts by suspending their death sentences awarded by a military court. The bench comprising Chief Justice Waqar Ahmad Seth and Justice Abdul Shakoor issued notices to the Defence and Interior Ministries for responding to two separate petitions filed by close relatives of the two convicts challenging their convictions by the military court on account of their involvement in acts of terrorism. Prime Minister Imran Khan and COAS Gen Qamar Bajwa met on one occasion during January 2019. 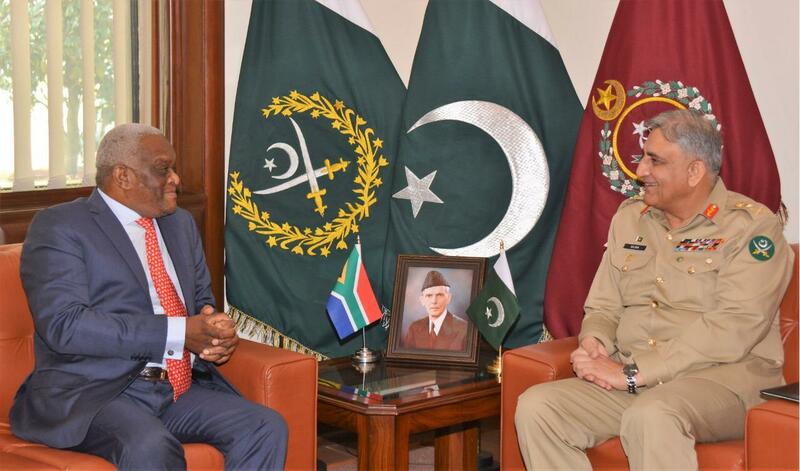 The COAS called on the Premier on January 24, 2019 at the Prime Minister’s Office. 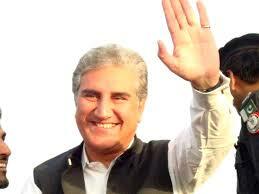 Federal Minister for Defence, Pervez Khattak was not part of the interaction. 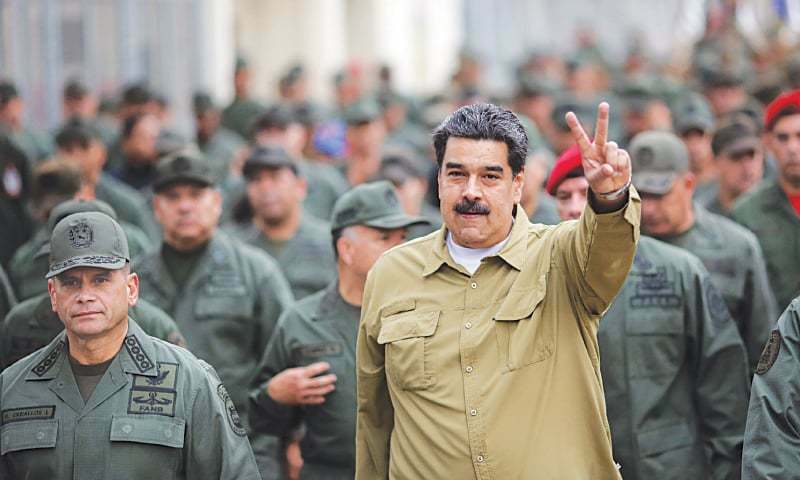 Venezuelan President Nicolas Maduro on January 30, 2019 lashed out at what he called ‘mercenaries’ conspiring to divide the armed forces of the country and plot a coup as the opposition demand to remove Maduro from power gains a new momentum. The Opposition Guaido declared strikes against the government demanding that “the armed forces side with the people” after bloody clashes following protests last week left more than 40 people dead and 850 incarcerated. Maduro blames the neighbouring Colombia for encouraging military deserters to drive a wedge between him and the forces. Opposition leader Guaido who has ‘assumed’ Presidency of Venezuela has recently garnered international support to his claim. Recently, US President Donald Trump congratulated Guaido for assuming power as President, over a telephone call, which has lent him a newfound legitimacy. Venezuela has suffered an economic meltdown marked by hyperinflation and shortages of basic necessities that has left millions in poverty, while 2.3 million more have fled the country. The US slapped oil sanctions on Maduro’s regime earlier this week in an attempt to starve the government of its funding. Mr. Matt Hancock, Secreatary For Health and Social Care, on January 27 said that the UK has been looking at its options in case no-deal Brexit results in civil disobedience including Martial law, curfews and the use of the military to quell rioting. Britain is set to leave the European Union on March 29, but the country’s lawmakers remain far from agreeing a divorce deal, leaving open the default possibility of a disorderly Brexit. Officials have been discussing the practicalities of implementing the Civil Contingencies Act 2004, which would allow the government to make any appropriate provisions to protect human life, health, safety and supplies.